Which Sky Sports commentator delivered the most appropriate ‘England were all out for 77’ face? We’re not generally enamoured with apps, as they often seem to make the absolute least of storage space and processing power to deliver much the same content that can be found on the equivalent website. 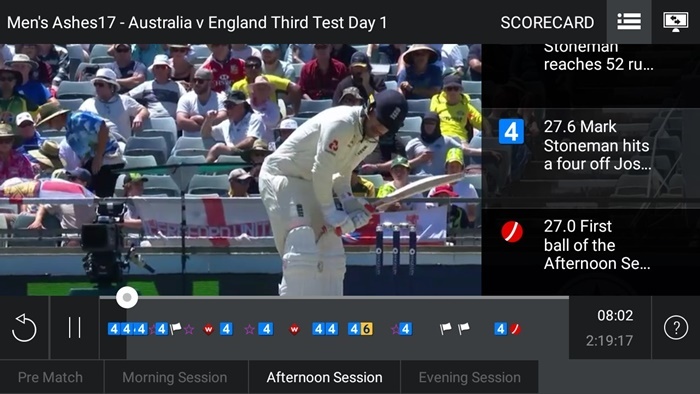 However, as a result of the televisual shenanigans that have seen BT broadcasting this Ashes series, we have uncharacteristically seen fit to take the plunge with the BT Sport app. And we rather like it. Phone screens don’t make for the finest viewing experience, but the way the app is set up is great for matches where half the day’s play takes place before you wake up. Various little video snippets showing major wickets and quirkier events are presented in the cricket section of the app, but the big advantage is being able to scan the whole day’s play to watch a far greater number of meaningful events. One of the things we hate most in the entire universe is the assumption that people want to watch videos instead of reading articles. The reason for this is that you can’t scan a video. You just have to sit there and tolerate it while the information drips out at a brain-aggravatingly slow pace, like olive oil from one of those dribbly pourers. The BT Sport app though? The BT Sport app has an annotated timeline. In all honesty, a furious ongoing attempt to ‘get through the stilton’ means this comparison isn’t quite as complimentary as it was when we started writing this article a few days ago. But even so, the annotated timeline is unequivocally ‘a good thing’. Maybe it’s the same on other apps, but we’re a huge fan of the smear of iconry down at the bottom of the screengrab above. It lets you pick out boundaries, wickets and chances, but also little mini highlights montages and chunks of punditry. As you wake, bleary-eyed, it’s easy to pass a good little while catching up with cricketing events while you try and summon the will to emerge for the three hours of twilight that pass for daytime at this point in the British winter. We’re going to give the BT Sport app a score of 9/10 because while we can’t think of what else we’d like to see, that’s only because we haven’t actually given the matter a great deal of thought. It’s Ronseally named The Ashes Catch-Up Show and it’s available on their website from 7pm each day. 10 minutes isn’t exactly life-changing but it’s better than the proverbial kick in the teeth and far, far better than a literal kick in the teeth. It’s also a very dense, action-packed ten minutes, so it’s decent value. Pretty much all you get is a barrage of the day’s boundaries, chances and wickets with only a very quick word at the start and end. A certain strand of fans is annoyed that this year’s Magellan Ashes (movement rate of all ships is increased by two) is on a slightly different subscription TV channel. They will doubtless also be unhappy that this highlights package is relatively brief. However, we’re going to go out on a limb here and say that it isn’t the worst thing in the world. Genocide is definitely worse than a well put-together 10-minute highlights package of a day’s cricket. You may also be able to subscribe to BT Sport for less than you thought (no promises). We got a bit distracted when we tried to write about this last week, but BT Sport has revealed its commentary line-up for the Ashes. For some reason the press release led with “legendary cricket captains” Michael Vaughan and Ricky Ponting, but we’re far more interested in the others. Geoffrey Boycott’s the most eye-catching name, and he’ll be joined by Alison Mitchell, Adam Gilchrist, Graeme Swann, Michael Slater and Damien Fleming. They’ll also be producing a daily 90-minute highlights programme. We can’t decide how we feel about this. On the one hand, 90 minutes seems too long for highlights. On the other hand, you’ve got to love a sport where the highlights are longer than a rugby match. No word yet on whether they’ll also be dumping the show on some minor free-to-air channel in the hope that no-one notices. We’re assuming not, given it seems likely to be such a comprehensive recap of the day’s play. 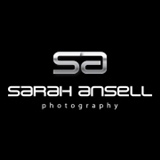 Those wondering what the hell today’s photo is all about, see here. We’ve been bemoaning the out-of-date way in which broadcasters sell sport to consumers for quite a while now. We were mildly encouraged by changes to Sky Sports announced earlier this year, but they only went so far and also had zero bearing on the upcoming Ashes as BT Sport has the broadcast rights for that series. So how is BT going about signing up cricket fans? Yes, yes, yes. This is exactly what we want. No phone line, broadband, or other TV package serving as some sort of eye-wateringly expensive and unnecessary entry fee – just the one thing we want. We only want access to BT Sport so we only want to pay for that. BT doesn’t seem to be on the same page as itself on this one. Sadly, we’ve checked all around their site and that does seem to be correct. Maybe BT have got something in the pipeline, but as things stand you do need to subscribe to their broadband or TV service to get access to the BT Sport App. No, you don’t. See below for how to get BT Sport via various different broadband/TV providers. This page appears to imply that it’s only a fiver a month, which is a bit of a result (if true). The bad news is it’s £22.99 a month and there’s also a sign-up fee of £20 if you commit for a year and £35 if you only commit for a month. The Ashes runs for over a month, so the minimum cost of subscribing to BT Sport if you’re a TalkTalk customer is £80.98. EE seems to be offering its customers three months of the BT Sport app for free. More details on this page. If you’re on an EE mobile contract, we suppose you could take them up on this and then work out how to cast the footage to your TV. Christ this is complicated. Don’t blame us. We’re just the messenger. We’re doing our best here, but thanks to the opaque policies and labyrinthine websites of the various media companies involved, there’s a decent chance that some of this is wrong – and even if it isn’t, it is of course subject to change. If none of these options suits (and we’ll be honest, they didn’t suit us) then there’s always the free 10-minute daily highlights package. It’s not a lot, but it is actually pretty good considering its length. Combined with Test Match Special and extensive coverage in the written media (do feel free to sign up for this website’s email) you’re not in too a bad place. 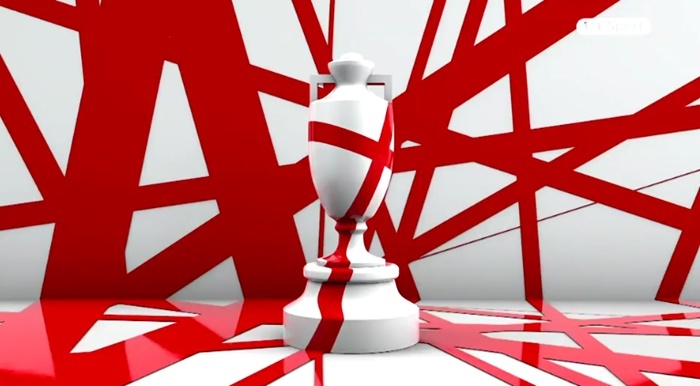 The England and Wales Cricket Board has recently accepted that it needs to get some live cricket onto free-to-air TV. The question most of us have been asking is what constitutes “some”. From 2020 (appropriately enough) the BBC will be showing two men’s and one women’s T20 internationals each summer. They’ve also won the right to broadcast Test highlights from Channel 5. 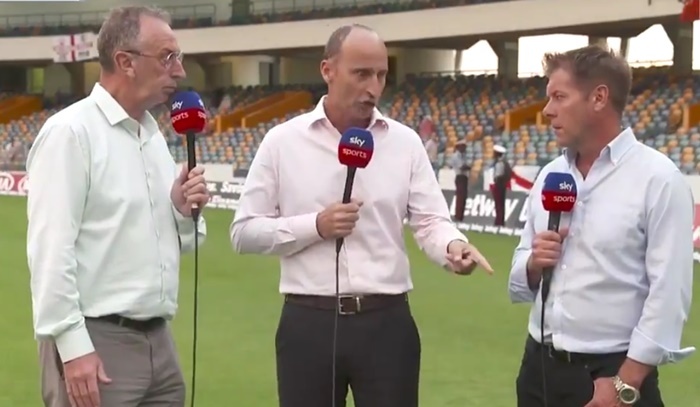 After Champions Trophy highlights were dumped at midnight, Test Match Special’s Jonathan Agnew made it clear that highlights will be shown at prime time, which is something of a relief. The Beeb will also broadcast 10 men’s matches from the ECB’s new T20 competition, including the final, and up to eight matches from the women’s T20 tournament, again including the final. It means everyone will be able to watch some cricket and with the finals of the domestic T20 competitions secured, much of that will have some sort of context too. It won’t just be random T20 matches in a competition you can’t follow to the end. 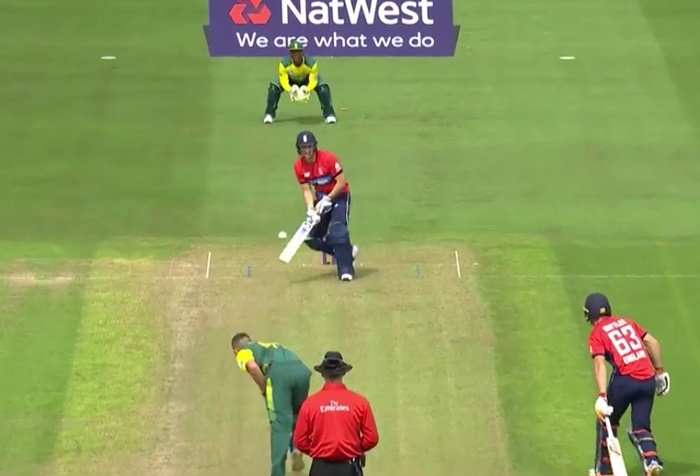 Conversely, you can well imagine the T20 internationals might be the kinds of low priority fixtures we’ve just seen played out between England and South Africa. Or maybe the very fact that they’ll be broadcast live on the BBC might mean a proper turn-out from all the stars. That could prove an interesting development. If that proves to be the case, the next rights deal for 2025 onwards could be an interesting one. Where’s the rest of the live cricket going to be broadcast? On Sky Sports – which, considering they announced a channel called Sky Cricket earlier this week, should have been pretty bloody obvious. It was highly unlikely they’d have been keen to devote a whole channel to an insect. There’s good news there though with talk that you might be able to subscribe to just that one channel, which would presumably work out a bit/lot cheaper. Nowt. We’re a bit sad for them really, because they’ve been holding the fort all this time and have been doing a super job. It’ll be interesting/irritating to see how quickly the BBC get up to speed highlights-wise. The Guardian’s cricket correspondent, Mike Selvey, is to part ways with the newspaper at the end of September. “Guardian no longer want 50 yrs intimate knowledge of cricket, cricketers and how game is played for future coverage,” he said in a tweet – later adding the hash tag #abitshitreally to leave us under no illusions that he would have preferred to continue. This news may seem of no real interest to many of you, but it does raise questions about the changing nature of written cricket coverage. In the absence of any comment from the Guardian, we can only guess why they might have made the decision. In all honesty, nothing especially obvious comes to mind. In 2008, Selvey was given the boot by Test Match Special. 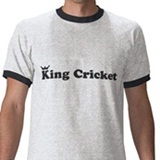 At the time, there was a reference to wanting to make use of ‘more recent Test cricketers’. Since then, they’ve added people like Graeme Swann and Michael Vaughan. 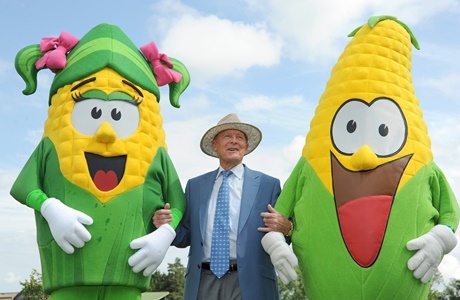 Phil Tufnell is from the previous generation and then there is the continued presence of Geoffrey Boycott, who is for many people synonymous with the ‘in my day’ view – despite also holding a number of progressive opinions. But a newspaper is different. There’s only so much space, so you’re never going to offer such a broad palette of voices. Instead, you pick someone who can write and who knows what they’re talking about and who will find angles that are perhaps unexplored by writers on other newspapers. We’ve long enjoyed Selvey’s articles. He can occasionally be prone to overloading sentences with far too many clauses, but time pressures can bring wonkiness out in all of us. The content itself was generally intriguing, especially when talking about the mechanics and mentality of bowling. You might question just how many stories one can wring out of a three-Test career, but it’s presumably decidedly more than can be wrung out of the zero-Test careers enjoyed by the majority of cricket writers. The point is that Selvey’s international playing experience is just one aspect of a longer career that has also included 278 first-class matches and a lifetime spent following the game. Selvey sacrificed a lot of goodwill among the Guardian readership during “the KP affair.” It was an oddly confrontational time among followers of the sport, but it wasn’t so much for his opinions that Selvey got people’s backs up as for being unable or unwilling to express why he held them. It was frustrating for the reader to read bold assertions without knowing how they were arrived at. Questioning sorts of people like to see your workings out. Selvey then compounded this disconnect by being slightly tetchy and thin-skinned in the comments section and on Twitter. There will always be someone slagging off your writing online and everyone has their breaking point, but managing that is a vital skill for a modern journo. We thought of all of this again recently when Selvey made a few dismissive comments about Chris Woakes at the start of the summer and followed that up with a piece talking up Steven Finn after the last Test. Finn plays for Middlesex, as did Selvey, so we initially felt a bit uncomfortable about his position – but the points made in that article about confidence and implicit messages sent by a captain’s field settings were pertinent and gave ample food for thought. It was a top piece; exactly the kind of thing we’d want to read. It’s proabably just this, isn’t it? Selvey has written for the Guardian for 31 years. They probably pay him more than they’ll pay his replacement. No-one pays to read about cricket in the internet age. Not enough people read about cricket full stop to financially justify the volume of writing we have at present. Something has to give.